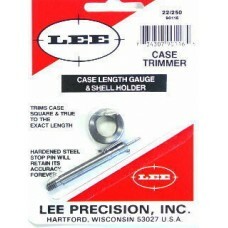 After a case has been loaded and fired a few times, it may stretch beyond the maximum allowed length and must be trimmed. 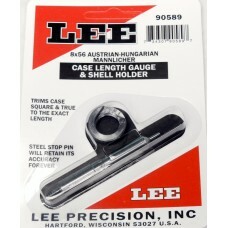 The Lee Precision Case Length Gauge and Shell Holder combined with the Lee Precision Cutter provides the simplest way to check the length of your cases and trim them to the correct, safe length. 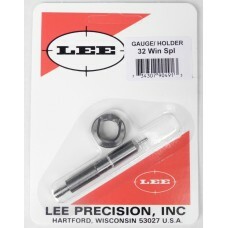 The Lee Precision Cutter and Lock Stud works for most calibers. 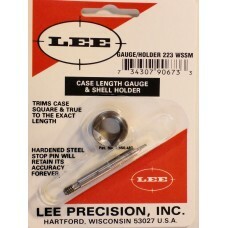 The Lee Precision Large Cutter and Lock Stud fits larger cases like .480 Ruger, .500 S&W, .50 BMG, etc. 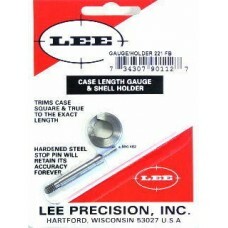 The Case Length Gauge and Shell Holder are unique for each caliber and must be ordered specifically for each caliber you wish to trim. You may trim cases by hand or chuck the Lock Stud and Shell Holder in the Lee Precision Zip Trim or in an electric drill to trim, chamfer and polish cases faster. 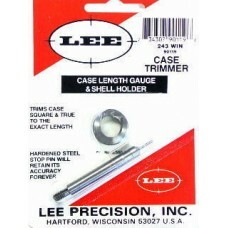 Trimming your cases eliminates the danger posed by long cases and at the same time, squares the mouth of the case for more accurate bullet seating and exit. 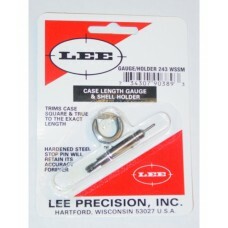 Lee Precision manufactures a full line of case length gauges for rifle and handgun cartridges, though it is not normally necessary to trim handgun cases since they will generally wear out before they need trimming, especially if you consistently use light to moderate loads. 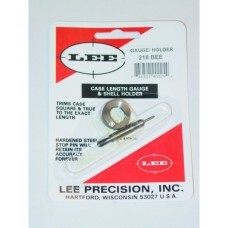 The Lee Precision handgun case length gauges are made for those who are very concerned about overall case length, for those who frequently use heavy loads, and for those who demand absolute uniformity. NOTE: We have been told Lee Precision has no plans to produce a case length gauge for the .204 Ruger case since the case mouth diameter is too small for the cutter to trim as Lee Precision`s Cutter can only trim cases that have a minimum case mouth diameter of .220 inches. 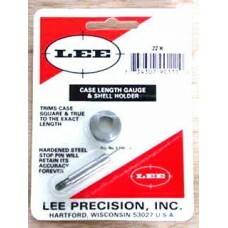 This Lee Precision Case Length Gauge is the easiest way to trim .32 Winchester Special cases to the.. 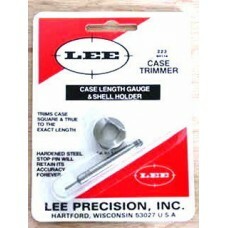 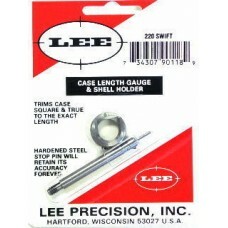 This Lee Precision Case Length Gauge is the easiest way to trim .450 Marlin cases to the proper len..